Xanthan gum is made from the outer shell of a bacteria called Xanthomonas campestris (you've probably seen these little fellas causing brown spots on plants). It's used in foods, particularly condiments, to increase viscosity...AKA thickness...and a little bit goes a looonnnnng way. All you molecular gastronomists reading TCB will be interested to know that xanthan gum works by stabilizing the oil in a condiment emulsion, but it is not an emulsifier. 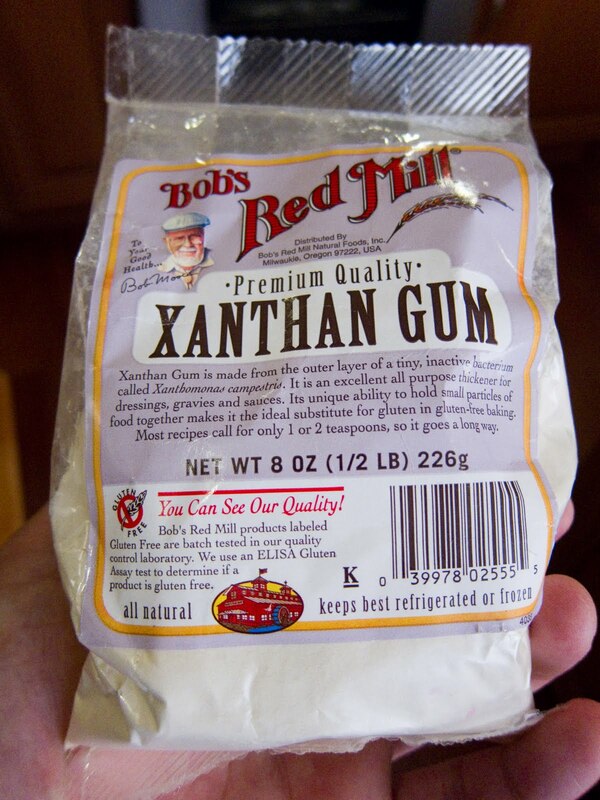 The good news is that xanthan gum has been approved for food usage since 1968, so its been around for a while. Note: Having trouble thickening up your homemade sauces? You can pick up some xanthan gum from Bob's Red Mill for around $12.